Liam Smith takes on Sam Eggington this Saturday on DAZN. 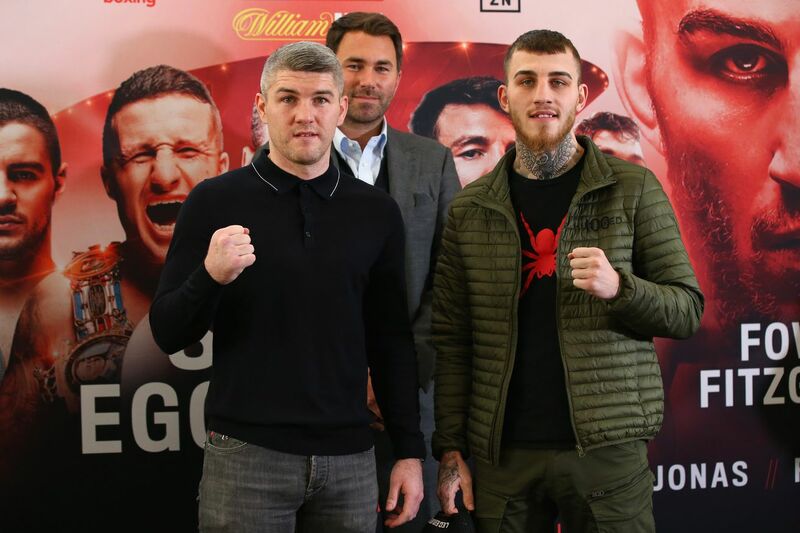 Liam Smith is looking to bounce back from his second professional loss, a gritty effort in July of last year against WBO 154-pound titleholder Jaime Munguia, as he returns home to Liverpool’s Echo Arena this Saturday on DAZN. Smith (26-2-1, 14 KO) will face Sam Eggington (24-5, 15 KO) in the 12-round main event. It’ll be the first fight in Liverpool since 2016 for “Beefy,” and he’s enjoyed massive pro success at Echo Arena, going 9-0 there over his career. In his two most notable fights at the venue, he beat Mark Thompson to win the British junior middleweight title in 2013, and defended his WBO belt against Predrag Radosevic in his last outing there in 2016. After beating Radosevic, he went to AT&T Stadium and was knocked out by Canelo Alvarez, but bounced back with a pair of wins over Liam Williams in 2017, setting him up for the shot at Munguia. Munguia dropped him and won a clear decision, but Smith made it a gritty, entertaining affair, too, and the 30-year-old is still a contender at 154. Smith also knows that the 25-year-old Eggington, a former British and European champion at 147, sees him as a gateway to bigger fights. Eggington suffered setbacks in the last two years, with Mohamed Mimoune beating him for the European welterweight title in 2017, and Hassan Mwakinyo stopping him in two rounds last September. Smith has no intention of letting Eggington get his career back on track at his expense. The card will also feature a prospect grudge match between Anthony Fowler and Scott Fitzgerald at 154 pounds, a meeting of the European and British champions at 140 as Joe Hughes faces Robbie Davies Jr, Philip Bowes defending the Commonwealth junior welterweight title against Tom Farrell, and heavyweight veteran David Price taking on Kash Ali.